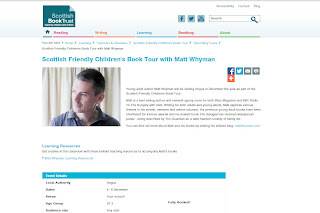 I'll be visiting schools across Angus in December as part of the Scottish Friendly Children's Book Tour, organised by Scottish Book Trust. The tour takes place from December 4th-6th. I'll be talking about everything from The Savages to writing your way out of trouble.